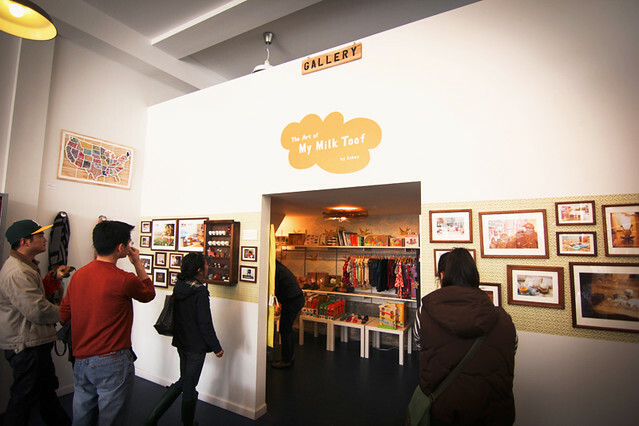 of My Milk Toof gallery show! I had a great time meeting all of you, and signing books. Here are some pictures from the show for those who weren't able to make it*. All the advance copies of Book 2 sold out- but not to worry, more copies are on their way this May. All the artwork from the show is now online, and there are still some pieces available for purchase- check it out HERE. If you see a piece labeled "Out of stock", it has been purchased. Also please note- the artwork is printed on a high-end resin coated photo paper not currently available in the My Milk Toof shop. Lastly, the blog will be taking a temporary hiatus, and will return next month. Thanks everyone for your patience and support, this year has been very busy so far and I need a little break to recharge. See you soon! 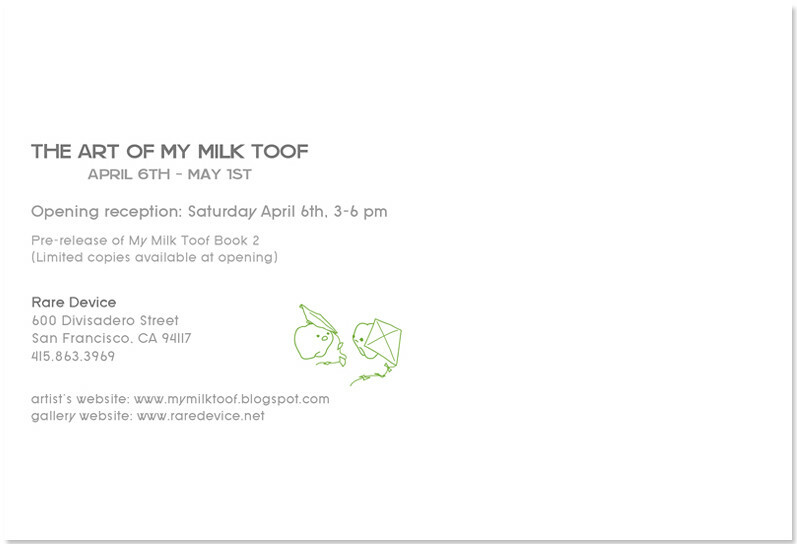 "The Art of My Milk Toof" THIS WEEKEND! Just a little reminder that this Saturday, April 6th will be the opening for my first gallery show, located at Rare Device in San Francisco! I will be there from 3-6pm, so please come by and say "Hello!" All framed art pieces will be available for sale, and later online. There will also be a cabinet display of ickle and Lardee models and props to check out. 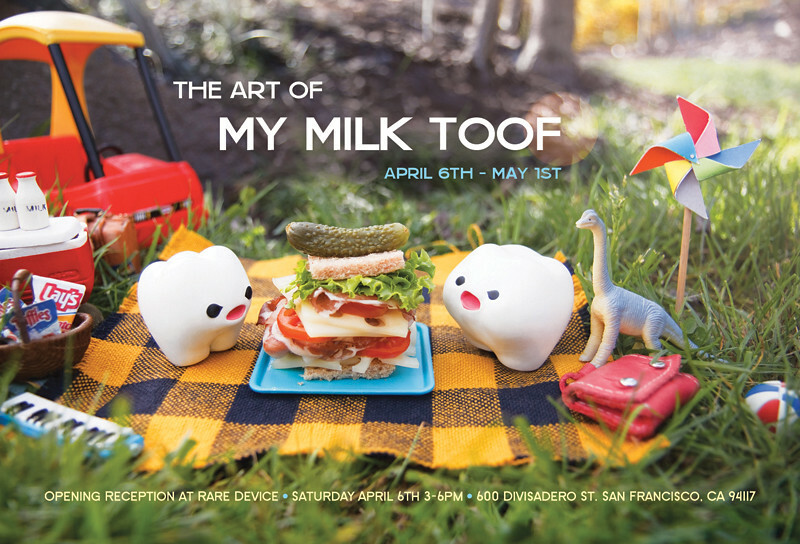 And as promised, I will have a very limited amount of advance copies of the second My Milk Toof book for sale, so come early to make sure you get a copy, a month before the official release. See you there! Here's the invitation on Facebook.